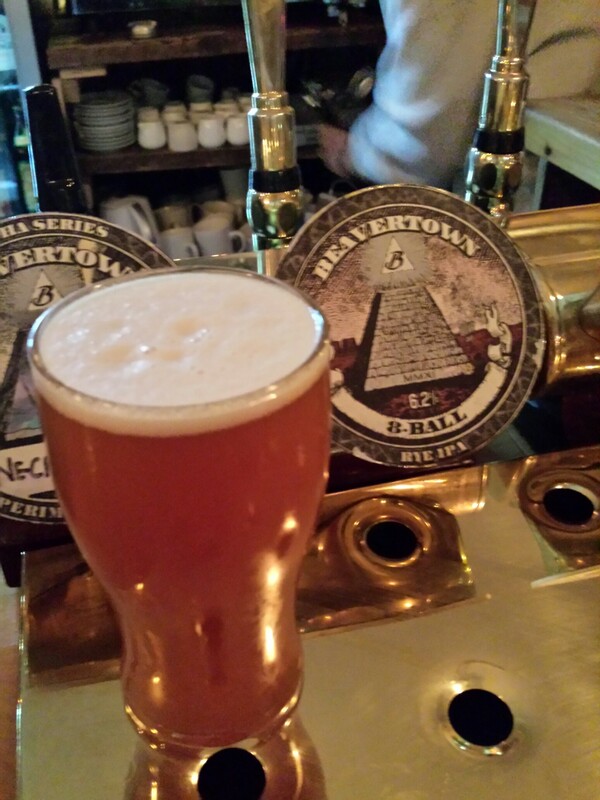 London Trip Day One: Three Fine Pubs | Simon Says… You really should drink this! ← Athlone Beer Club this Friday! 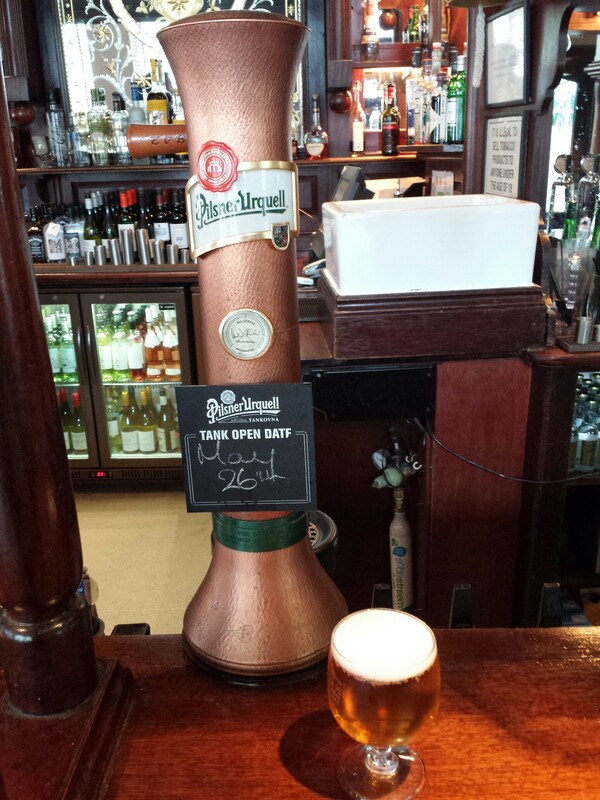 Midday is a good time for a beer on a Bank Holiday. 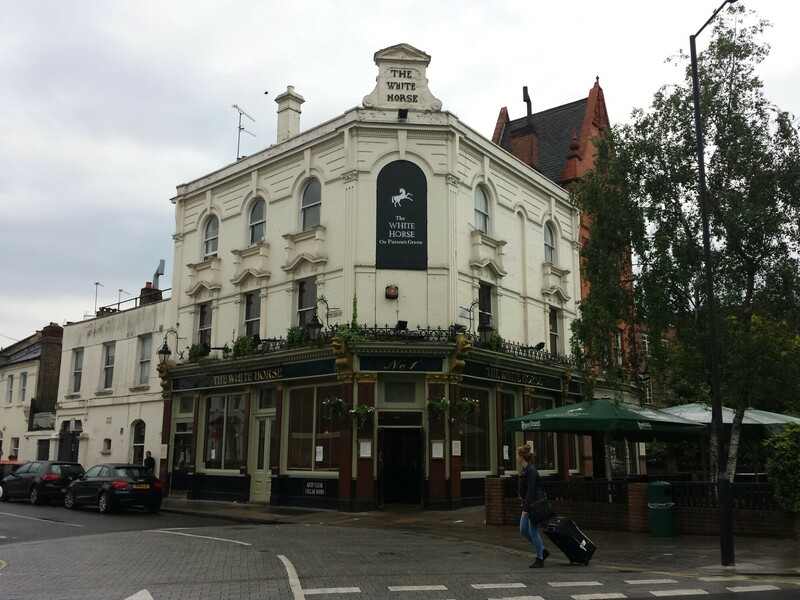 We were on a brief visit to London and my intention was to check out a few of the pubs described in a piece by Chris Hall in the Craft Beer: 100 Best Breweries In The World bookazine. So I started with a Full English in the nearest thing to a greasy spoon in Kensington to set me up for the day. 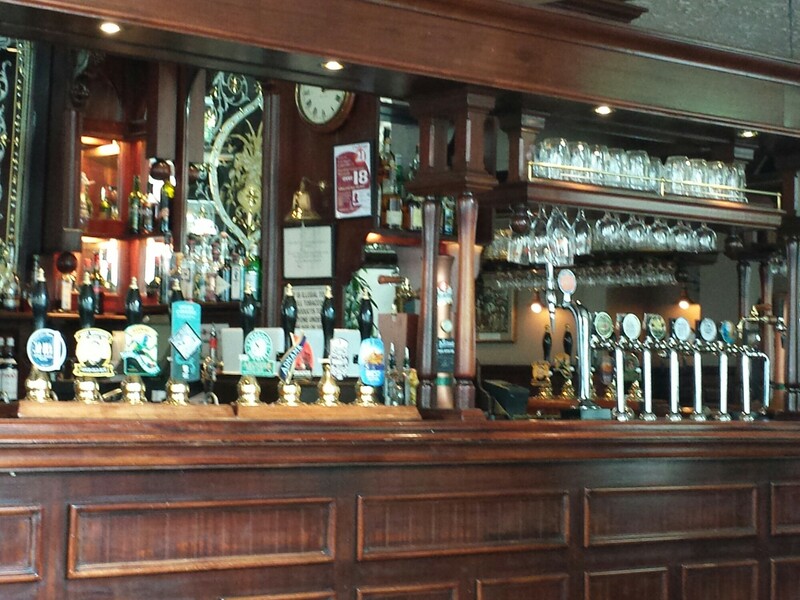 The first stop on my quest was the venerable White Horse, Parson’s Green. 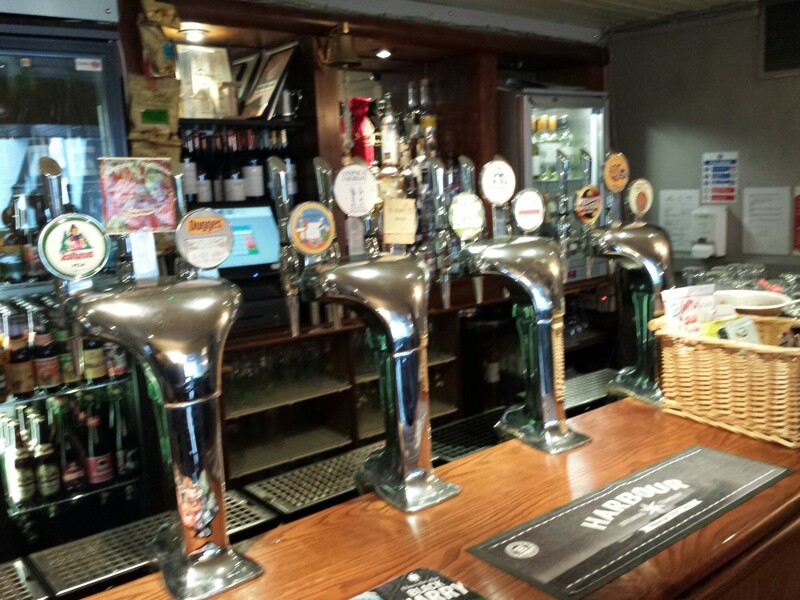 There was a nice selection of taps to choose from. 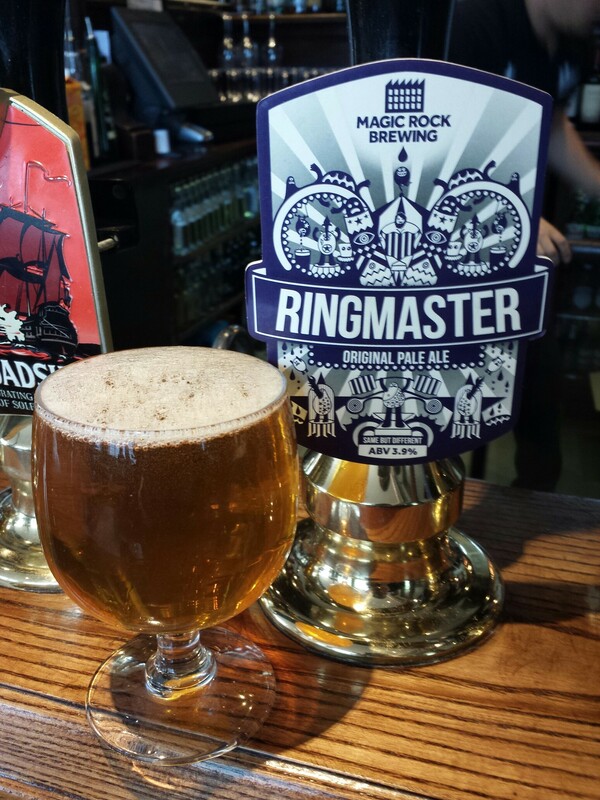 I went with a Ringmaster from Magic Rock Brewery a pale ale which was on cask. With a quite a low abv this was a good beer to kick off with. Keeping it relatively tame I had just been reading about (in the above mentioned bookazine) the unpasteurised Pilsner Urquell that you could get in certain London pubs so it would have been rude of me not to try one. The beer is put into large tanks by Fuller’s, the tank had just been tapped that day, you don’t get much fresher that that. I foolishly neglected to take a picture of the tanks! The beer was as good as you’d expect. 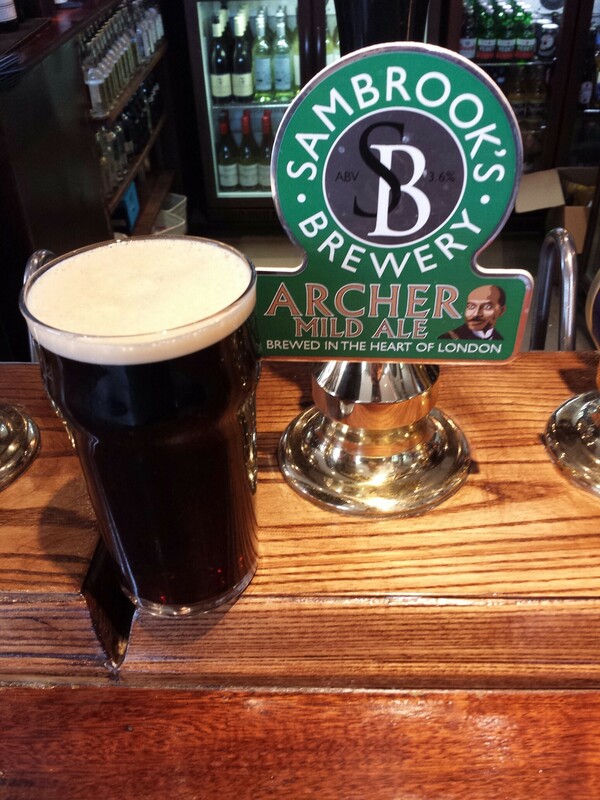 Next I had a pint of Archer Mild Ale from a Battersea microbrewery called Sambrook’s. I almost felt a beard growing as I drank it. Like your man from Emmerdale. (that’s a compliment) The White Horse is a classic English pub, well worth a visit. The trip wasn’t all about me though and we couldn’t spend all of our time in the pub so we stopped in Peggy Porschen’s tea shop. 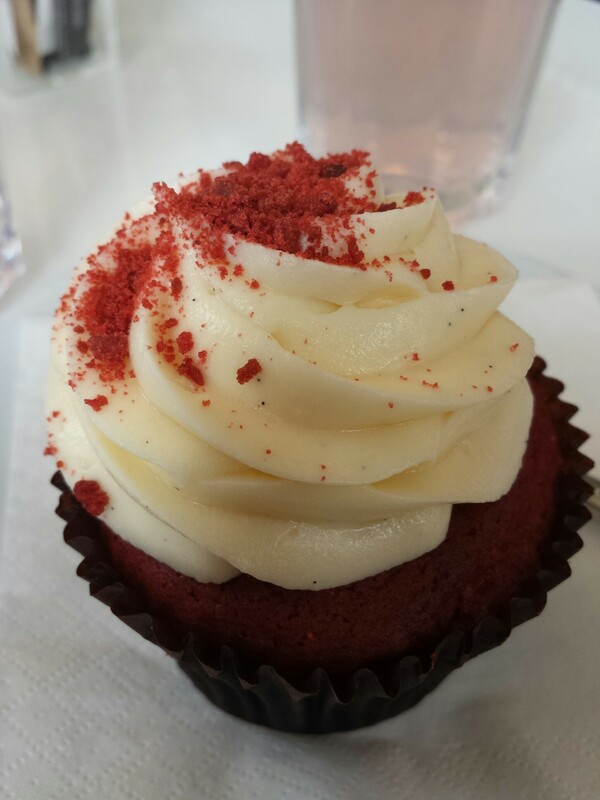 We had red velvet cupcakes and pink lemonade. My newly acquired beard receded instantly. 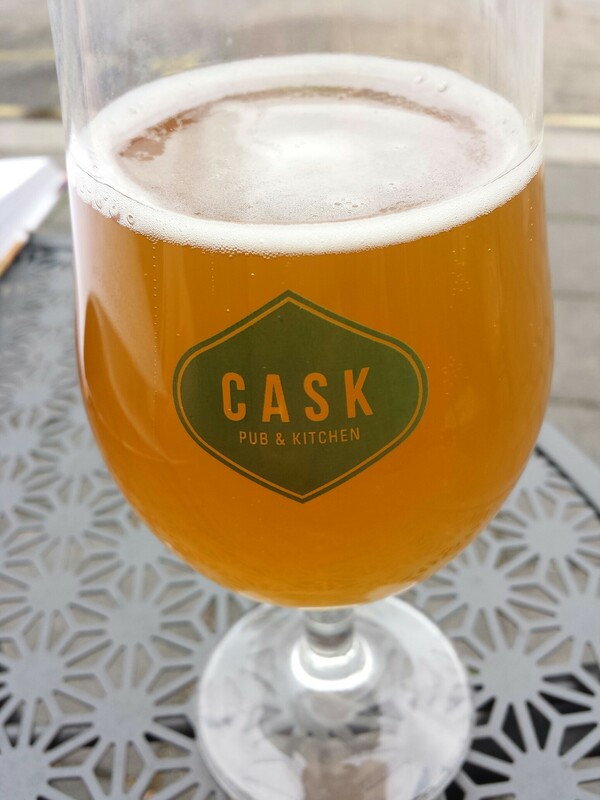 Next stop was the more to my liking, the Cask Pub and Kitchen in Pimlico. Once again I was met with a bewildering array of taps. That’s just a few of them. 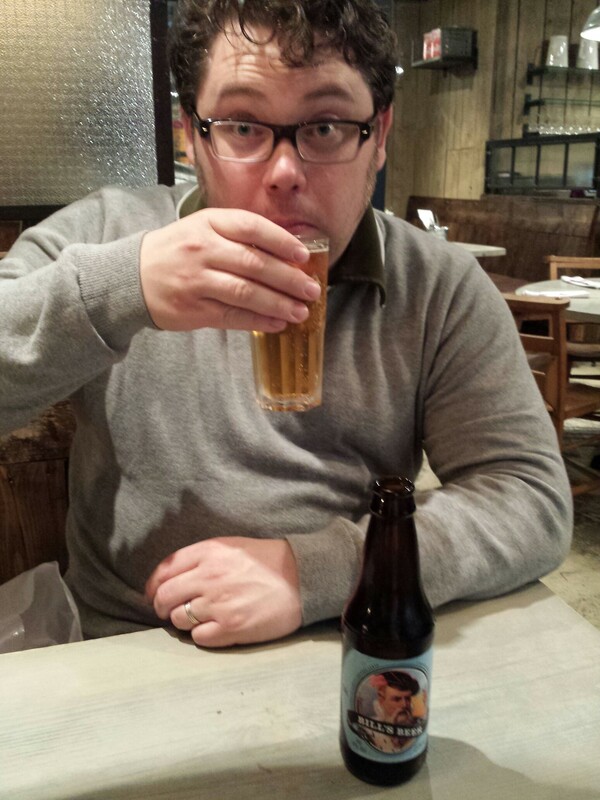 I had a Start Point IPA from Fyne Ales. It’s a traditional English style IPA, very tasty. 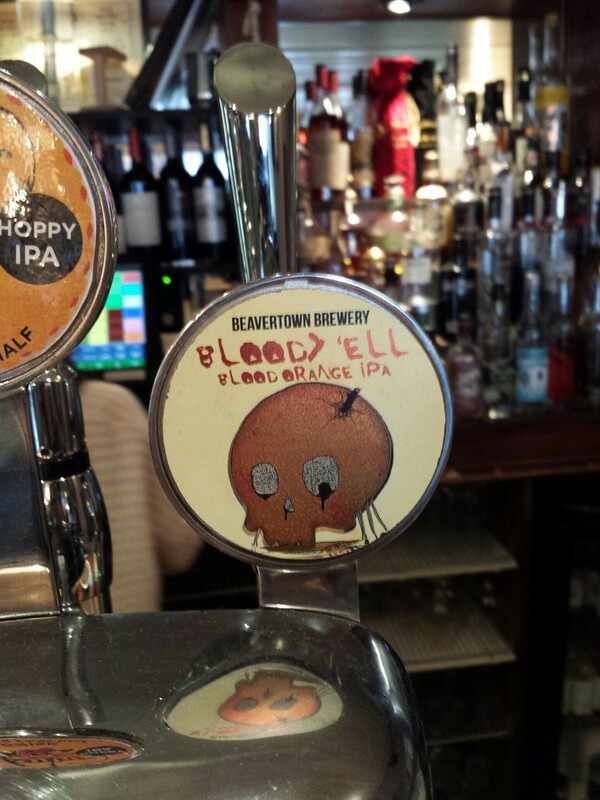 Beavertown’s Bloody ‘Ell a blood orange IPA was my next choice. It was juicy, fragrant and hoppily refreshing. Number two recommendation, Cask Pub and Kitchen, Pimlico. Our next stop was Bill’s in Kensington High Street Underground Station for an afternoon snack. Mrs Wife had something sweet. 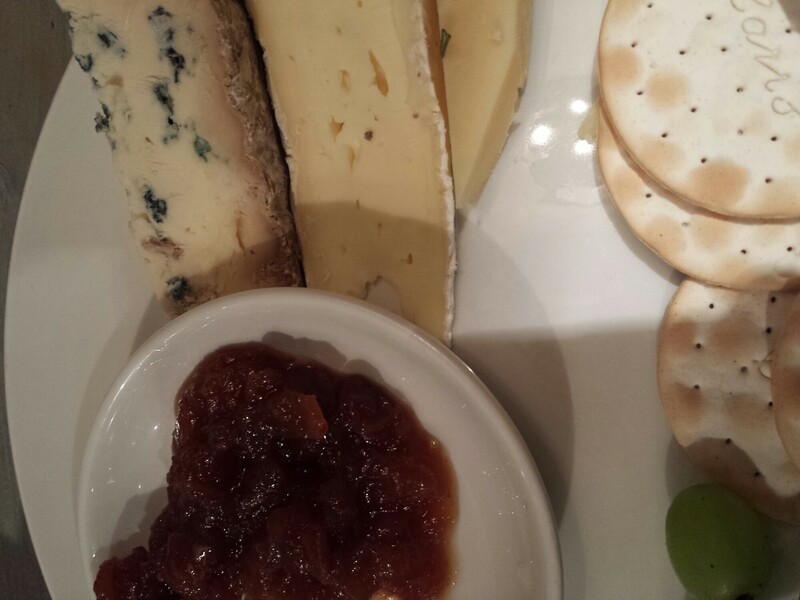 I went for some cheese. There was a sign on the wall which suggested trying Bill’s award winning beer, so I asked the waiter what kind of beer it was. He didn’t know but I threw caution to the wind and said I’d chance one. It’s a fairly bland golden ale, nothing to write home about. We went for a siesta then as our trip had began at three in the morning. A couple of hours later we set off refreshed and headed for Duke’s Brew and Que, De Beauvoir Town. There was some work being done on the Underground and Overground lines which meant we had a bit of trouble getting there and it was about ten when we arrived so we missed the Que but still had time for a few brews. 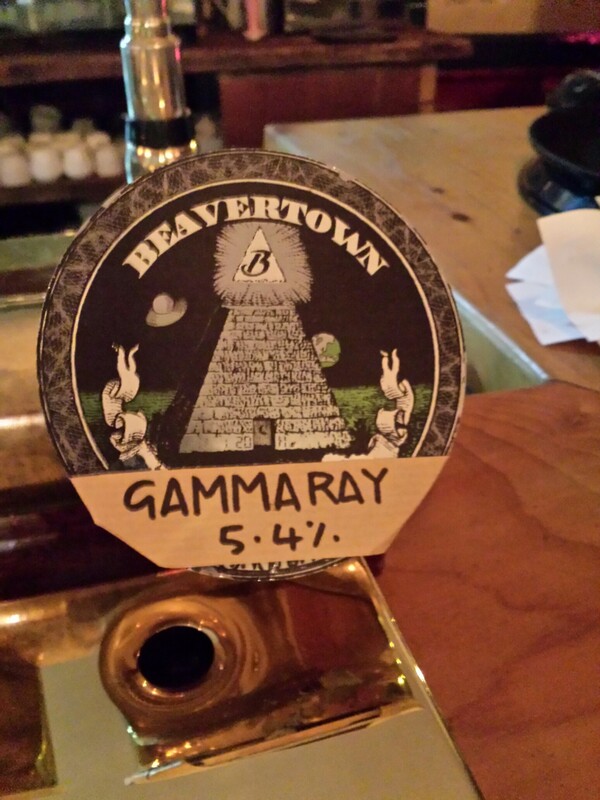 This pub was the original home of the Beavertown Brewery and so I started with a Gamma Ray Pale Ale. Seriously good beer. I stuck with the same stable and had an 8-Ball Rye IPA next. Damn but this crew make some serious beers! 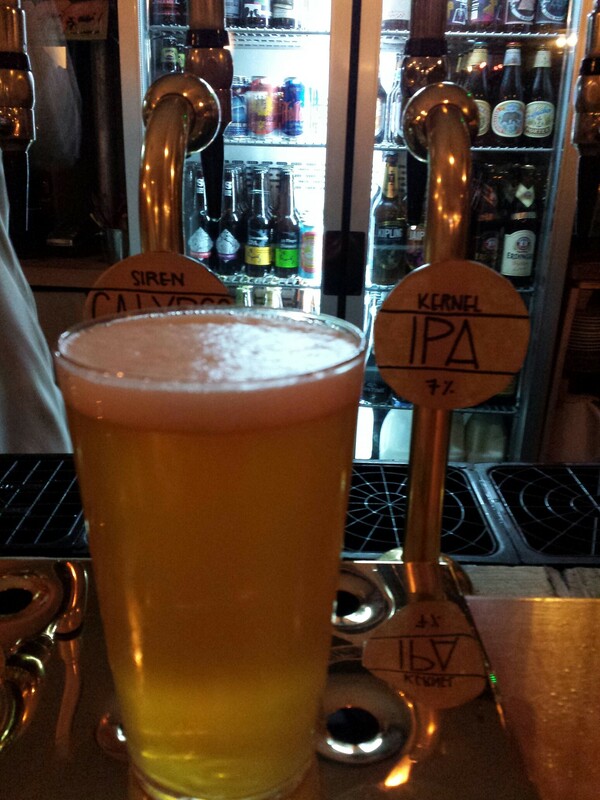 I went for anothet local brewery to finish up my evening and had an IPA from Kernel. It was a smashing IPA but I’d have to say the 8-Ball was the stand out one for me. The staff were very friendly, especially Niamh, one of the managers. They went out of their way to make sure we were able to navigate our way back to our hotel. Niamh was also telling us about her childhood treks over to Ireland. 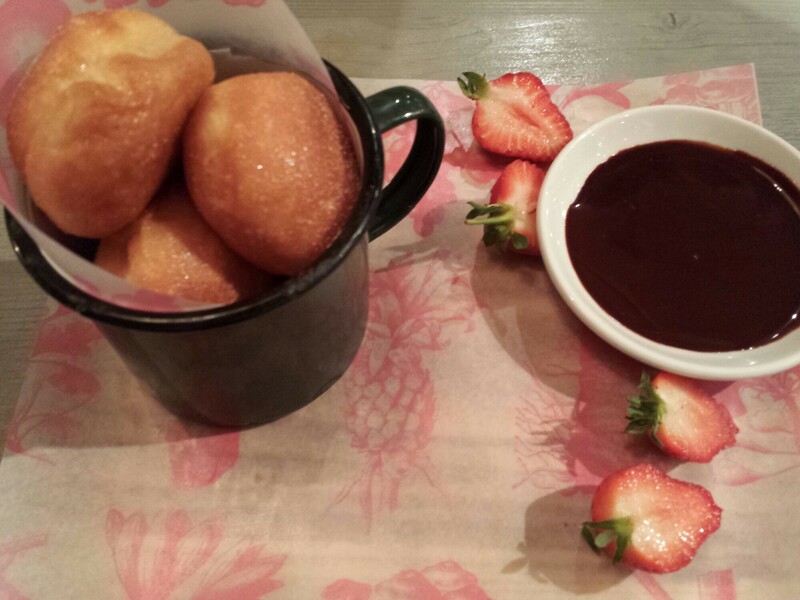 I’d love to return to Duke’s on my next visit to London and sample some of their famous ribs! That was day one and it was a great one despite the rain and travel, I’ll post day two tomorrow. 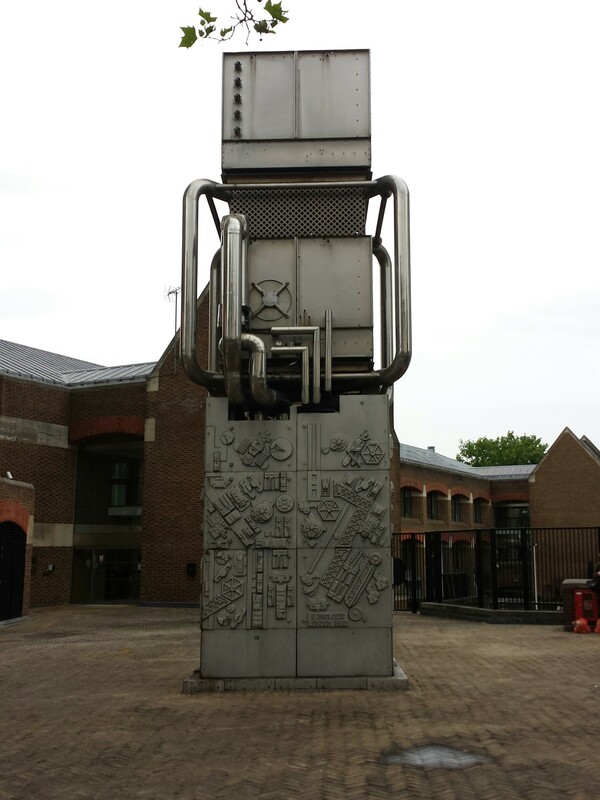 This entry was posted in Uncategorized and tagged Beer, cask, food, IPA, London pubs, mild, travel. Bookmark the permalink.